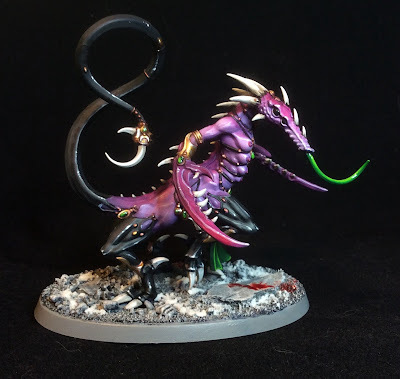 I finished painting up this Malcador a few weeks ago, but I haven't been very diligent updating the blog, so I've only just had the chance to get some decent pitures of it. Build wise, it was quite interesting, and the kit does show a little age in this regard. It reminded me a lot of building the original Chimera kit before the update where things like tracks just seem to be supplied in a big jumbled heap and you have to do a bit of detective work to get the thing together. Armament wise, I did a bit of conversion work to swap out the lascannon sponsons for some of the autocannons from the Onager kit. It's one of the armaments that the tank I allowed and I've always been partial to autocannons. They also help offset the dodgy guard ballistic skill. Once the build was finished, it was a joy to paint. I used my usual weathered scheme with airbrushed ammo and things. I've said it before, but the scheme I'm using for these tanks has been a joy to paint, and I'm really happy with the result that I've been getting for the time that I'm spending on them. Painting the crewman was a bit more of a challenge as I had glued him on in order to fit the heavy stubber properly, so I couldn't really use the airbrush for his yellow coat like I did with the rest of the infantry. I actually just made up his scheme on the spot using some of the same paints, but I'm pretty happy with how he came out in the end, and actually he matches the res of the force pretty perfectly. 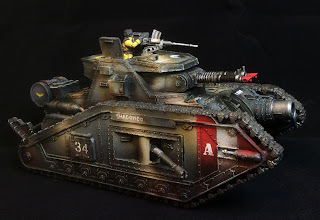 Those of you looking at the pictures closely might have noticed that I named the tank the "Shagohod". The name brings back fond memories of Metal Gear Solid 3 for me, so I figured I'd go with it. I normally end up referencing metal gear at one point or another in battle anyway! Finishing the Malcador also rounds out a fully painted 1000 points of Steel Legion. Always a great benchmark to reach. Due to some other good things going on in my life outside of the hobby, I decided to treat myself to a Shadowsword as well. I've built it and primed it, so hopefully I'll get that painted up at some point. For the moment, I think finishing 1000 points has earned me a bit of a rest, so I'm hoping to switch gears for a bit and change projects for a little while to charge my reserves up a bit before I continue on with the Steel Legion. Man it's looking great! We'll get it on the field for my Birthday! Thanks. It is quite a big kit, so I was glad to finish the thing! 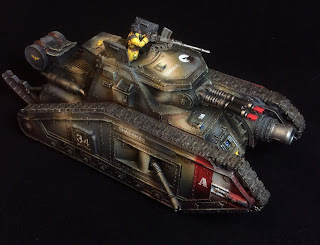 Yeah cammo feels quite old school to me, as other than Imperial Guard stuff you don't really see it anymore. I used the airbrush to lay it down, which gives a nice effect and doesn't take too long either. 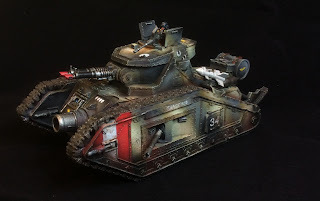 The poor man's Baneblade. It is still a rather nice tank. Nice paintjob! How come you decided to paint red the end of the Lascannons? I painted the sentinel lascannons red, so I thought I'd just carry it through. It is the one thing on the model I'm not entirely sure about, but I wanted them to stand out. 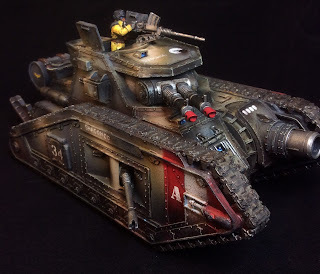 I like the Malcador as it is quite a big tank, but something I can use in battle without going into Lords of War. 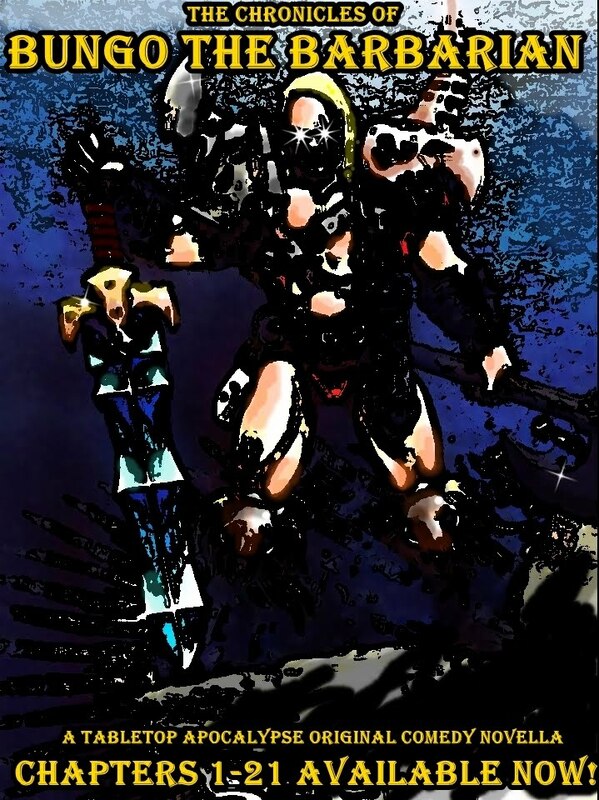 Do you own a Macharius too? I think I recall seeing one. Only the Malcador. I did put a work in progress shot on one of my posts, so that might be what you're thinking of. 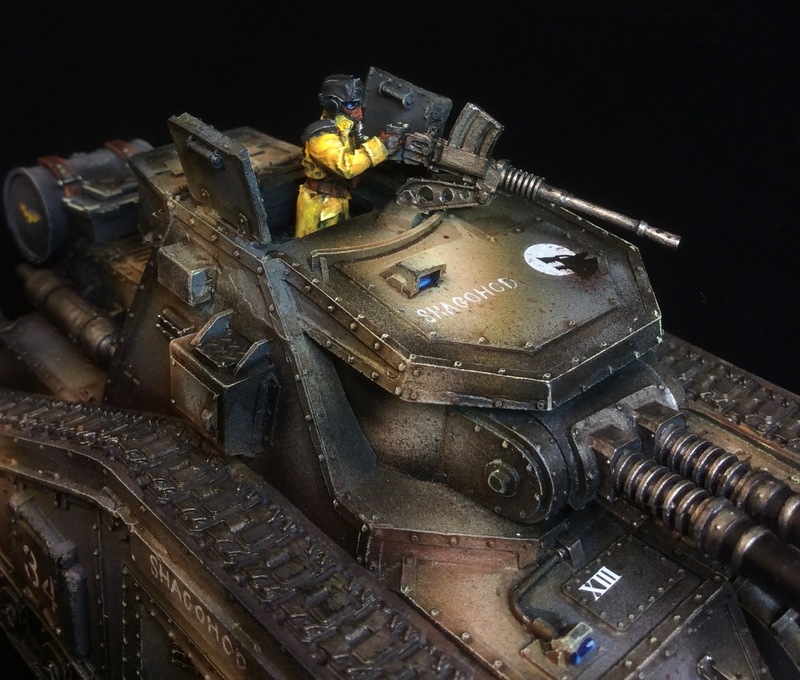 Great work on the tank. It will stand out on the tabletop for sure. Thanks. It should be seeing the field for the firstime time this weekend. Entering Dreadtober 2018 - 40k Skaven Dragoon!